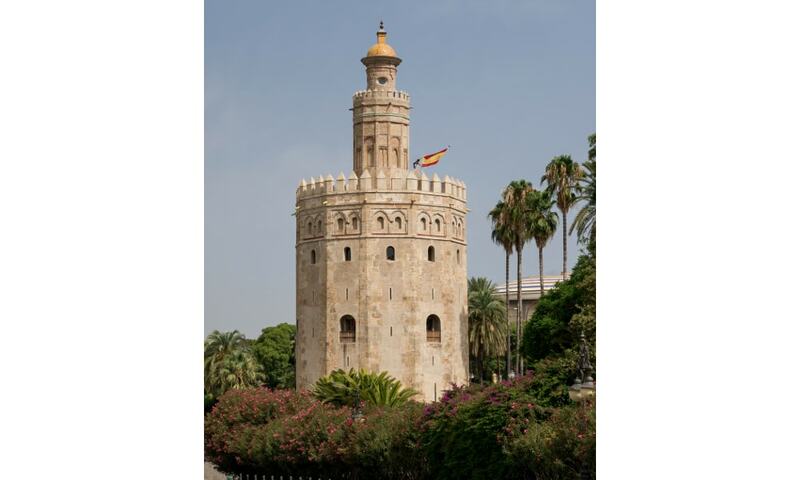 The Torre del Oro is a dodecagonal military watchtower erected by the Almohad Caliphate in order to control access to Seville via the Guadalquivir river. Constructed in the first third of the 13th century, the tower served as a prison during the Middle Ages. Its name comes from the golden shine it projected on the river, due to its building materials: a mixture of mortar, lime and pressed hay.